The Janus-faced appearance of any country’s foreign policy is a combination of its domestic and foreign forces. 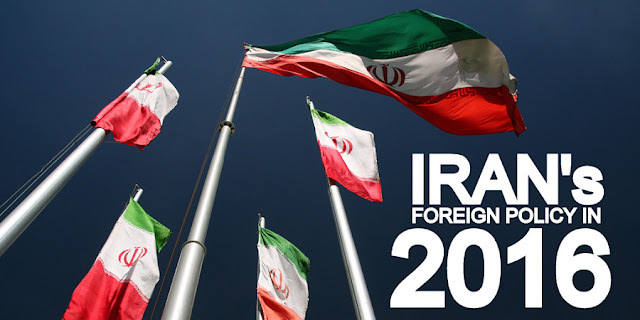 During 2016, Iran’s foreign policy was an arena for diplomatic efforts within framework of different emerging retrenchments. The Janus-faced countenance of Iran’s foreign policy in 2016 can be assessed from the standpoint of adaptability, dynamism in relation to surrounding developments and performance of internal forces on the basis of the idea of “constructive and purposive interaction,”, which aims to forge balance in the country’s foreign relations. The first area in which Iran’s foreign policy ideas were realized in 2016 was about implantation of the country’s nuclear deal with the P5+1 countries, known as the Joint Comprehensive Plan of Action (JCPOA), which came into effect as of January 2016 on the basis of Iran’s logic of strategic patience in the third millennium. The result of such logic was realization of Iran’s strategic, trade, economic, oil-related and political interests, though Iran’s foreign policy was also facing certain challenges in 2016. On the other hand, despite challenges posed to the European Union by the Brexit, the common mutual need for bolstering interaction and convergence of approaches and views between Iran and the European Union in 2016 caused these actors to start a new honeymoon in their relations aimed at realizing the idea of a multi-polar world in 2016. Apart from major trade and economic agreements signed with various countries and major global actors, successful participation in the 171th summit meeting of the Organization of the Petroleum Exporting Countries (OPEC) on November 30, 2016, should be considered as another achievement for Iran’s foreign policy in 2016. The OPEC meeting in November 2016 can be considered as an impetus for the revival of OPEC through developments that took place during past few decades in the arena of international relations as a result of constructive actions as well as effective and timely participation of the Iranian diplomacy. Iran’s position in approaches taken by nominees for the 45th president of the United States through their election campaigns in 2016 also contained thought provoking historical lessons. The nominees from both Democrat and Republican parties in 2016, both in their election debates and in other positions, frequently and with high sensitivity focused on the issue of Iran as well as discourses and approaches that the country supports with regard to a wide range of issues. Strategic outcomes of such a stance on Iran by American officials in 2016 are indicative of the fact that Iran still continues to remain as one of the most challenging issues in the United States’ foreign policy under the President –elect Donald Trump as the 45th president of the United States. Major foreign policy crises across the world, including the crises in Syria and Iraq, the crisis of Daesh, the crises in Lebanon, Nagorno-Karabakh, Afghanistan, Palestine, Libya, Bahrain, Yemen, and Saudi Arabia, the crisis faced by Kurds, as well as the crises of immigrants and even the crisis in Ukraine were focus of attention for Iran’s foreign policy in 2016. Iran considered participation in the resolution of the aforesaid crises as an undeniable necessity for its foreign policy in 2016. In view of short-, medium-, and long-term effects of the aforementioned crises on Iran’s interests and values, the highest amount of energy spent by Iran’s foreign policy in 2016 was allocated to creation of strategic trends and coalitions in the country’s spheres of influence in order to increase its strategic depth. Fighting against terrorism and extremism and taking advantage of the capacity of such partners as Russia was also a focus of attention for Iran when setting its foreign policy agenda in 2016. One of the most unprecedented decisions taken in the area of Iran’s foreign policy in 2016 was allowing Russia to take advantage of the country’s Nojeh Air Base in order to support the legitimate nation-state of Syria. As an extension of these efforts, Iran’s foreign policy actions in 2016 became more proactive toward resolution of the global crisis, which is still underway in Syria. Iran’s effort to build new coalitions as well as indigenous and intra-regional convergence among Iran, Russia and Turkey for the resolution of the global crisis in Syria was finally followed with positive effects for the entire region. The outcome of taking part in such efforts was the liberation of the strategic Syrian city of Aleppo in late 2016. The liberation of Aleppo has been considered as a turning point in foreign policy of regional and international powers in Syria in 2016, which was made possible as a result of strategic and coordinated actions taken by the axis of Iran, Russia and Turkey. On the other hand, the approach taken by actors, who were rival and opposite to Iran’s foreign policy actions in 2016, also went through many ups and downs. The rival, and to some extent aggressive, approach taken by these actors paved the way for intensification of conflicts between the interests of these actors and Iran’s foreign policy in 2016. Examples of measures taken by such actors toward Iran can be seen in biased approaches adopted by some regional actors, including Saudi Arabia, Qatar, and Israel. Meanwhile, opening the way for interventions by such transregional actors as the UK, which highlighted issues like the proxy wars in neighboring regions around Iran through such Arab mechanisms as the (Persian) Gulf Cooperation Council in late 2016, was another example of these hostile measures. On the whole, Iran’s foreign policy in 2016 can be assessed within framework of the effort made to realize the important goal of expedient interaction with the West and international organizations in a bid to clear the way for the JCPOA to enter into force. Other characteristics of Iran’s foreign policy in 2016 were playing a maximum role in neighboring regions in order to create balance; the rivalry between Iran, on the one hand, and some European and Asian actors, on the other hand; and Iran’s serious turn toward Eurasia. Through an adaptive and dynamic approach, Iran’s Janus-faced foreign policy in 2016 managed to give birth to serious trends in such areas as security, economy and politics both at international (oil sector achievements) and regional levels (including with regard to crises in Syria, Iraq and other places). This article was originally published at IranReview.org. All rights reserved by the original publisher. Reprinted with permission.